Over 820 Standards from 260 Broadway Shows! Broadway Show Tunes, what would we do without them? Theater people love them, jazz people love them, cabaret singers love them, and they even frequently find their way into the pop, rock, and country music hit parade! From Barbra Striesand to The Beatles to Willie Nelson to John Coltrane to Charlie Parker to Rod Stewart to Billie Holiday to Paul McCartney to Stan Getz to Ella Fitzgerald to Diana Krall to Sting to Blossom Dearie to Carly Simon to Tony Bennett to Jane Monheit to Bryan Ferry to Linda Ronstadt to Dean Martin to Pat Benetar to Natalie Cole to Nancy Wilson to Bette Midler to Frank Sinatra to Johnny Mathis to Ringo Starr to Keely Smith and even to Keith Richards everbody plays show tunes. In addition, Broadway shows have been built around rock era giants like ABBA, The Four Seasons, Billy Joel, and many others. Lee Adams Harold Arlen Burt Bacharach The Bee Gees Irving Berlin Leonard Bernstein Don Black Jerry Bock Leslie Bricusse Mel Brooks Lew Brown Sammy Cahn Truman Capote Martin Carnin George M. Cohan Cy Coleman Phil Collins Betty Comden Noel Coward Bob Crewe Hal David B.G. DeSylva Fred Ebb T.S. Eliot Duke Ellington Sammy Fain Dorothy Fields George Forrest Ira Gasman Bob Gaudio Noel Gay George Gershwin Ira Gershwin Adolph Green Marvin Hamlisch Oscar Hammerstein II Otto Harbach E.Y. "Yip" Harburg Sheldon Harnick Lorenz Hart Ray Henderson Jerry Herman Rupert Holmes Eric Idle Billy Joel Elton John Tom Jones Gus Kahn John Kander Jerome Kern Burton Lane Jerry Leiber Carolyn Leigh Alan Jay Lerner Andrew Lloyd Webber Frank Loesser Frederick Loewe Henry Mancini Alan Menken Johnny Mercer Bob Merrill Roger Miller Irving Mills Anthony Newley Trevor Nunn Cole Porter Tim Rice Richard Rodgers Harold Rome Carole Bayer Sager Claude-Michel Schönberg Stephen Schwartz Duncan Sheik Stephen Sondheim Richard Stilgoe Mike Stoller Jule Style Thomas "Fats" Waller Kurt Weill George Weiss Meredith Wilson David Yazbek David Zippel and many, many more! Aida Ain't Misbehavin' Annie Annie Get Your Gun Aspects Of Love Avenue Q Babes In Arms Barnum Beauty And The Beast Bells Are Ringing Big River They Boys From Syracuse Bye Bye Birdie Cabaret Camelot Can-Can Carousel Cats Chess Chicago A Chorus Line City Of Angels The Color Purple Company A Connecticut Yankee Curtains Dirty Rotten Scoundrels Do I Hear A Waltz Dreamgirls The Drowsy Chaperone Evita The Fantasticks Fiddler On The Roof Finian's Rainbow Fiorello! Flower Drum Song Follies Footloose Funny Girl A Funny Thing Happened On The Way To The Forum George M! Gigi Godspell Grease Grey Gardens Guys And Dolls Gypsy Hairspray Hello Dolly! Jeckyll And Hyde Jersey Boys Jesus Christ Superstar Joseph And The Amazing Technicolor Dreamcoat Jumbo The King And I Kismet Kiss Me, Kate La Cage Aux Folles Les Misèrables The Light In The Piazza The Lion King The Little Mermaid Mamma Mia! Mame Man Of La Mancha Mary Poppins Me And My Girl Miss Saigon Monty Python's Spamalot Movin' Out The Music Man My Fair Lady Oklahoma! Oliver! On A Clear Day You Can See Forever On Your Toes Paint Your Wagon Pal Joey Peter Pan The Phantom Of The Opera The Pirate Queen The Producers Promises Promises Rent Red Hot And Blue The Roar Of The Greasepaint-The Smell Of The Crowd Saturday Night Fever Show Boat Smokey Joe's Cafe Sophisticated Ladies The Sound Of Music South Pacific Spring Awakening Starlight Express State Fair Stop The World-I Want To Get Off Sunset Boulevard Sweet Charity Tarzan Thoroughly Moddrn Millie Victon/Victoria Wicked The Will Rogers Follies Young Frankenstein Zigfeld Follies of 1919 Zigfield Follies of 1936 Zorba and over 100 more shows! Most of the tunes the gigging jazz musician plays come from showtunes, but few jazz musicians are willing to openly come out and say, "I play showtunes." ... To jazz performers looking for those undertapped standards missed in the Real Books, this disk/book is a gem. ... To vocalists, cabaret performers and working piano lounge players consider this a lifetime repoitoire that can fit in a computer. ... To rock and country musicians who want to update a standard, this is a gold mine. If you like Broadway Show Tunes, if you like Pop Standards, if you like "The American Songbook" tunes, if you like the British Imports, if you like pop music at all, you'll love this disk and book! I also suggested a style for each song from all the styles that were available for Band-in-a-Box when I compiled this disk. The styles were chosen to closely resmble the original play (as close as possible in Band-in-a-Box). 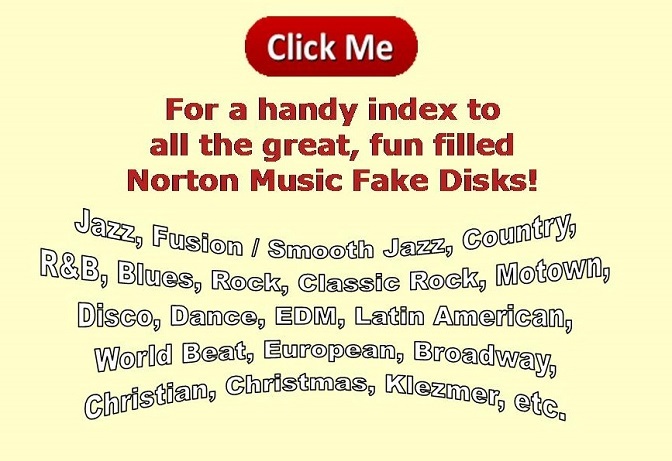 It is not necessary to have the book or my styles to enjoy this disk, but your fun will definitely be enhanced if you do. • Could I Leave You? • Do I Hear A Waltz? • Do I Love You Because You're Beautiful? • Do You Hear The People Sing? • Nothing Can Stop Me Now! • Well, Did You Evah? • What Did I Have That I Don't Have? • What Good Would The Moon Be? • Whatever Happened To My Part? • Where Is The Life That Late I Led? • Where Was I When They Passed Out The Luck? • Who Will Love Me As I Am? • Why Can't You Behave? • Why Did I Choose You? • Will He Like Me?